When the news was announced that an all-new Ghostbusters 3 movie was going into production, fans of the franchise were immediately excited. The new installment will continue the story established by the original 1984 movie and its 1989 sequel, effectively ignoring the continuity of the 2016 reboot. Because there’s such a massive cult following behind the original movies, finally developing the long-awaited sequel is practically guaranteed to be a massive hit for Sony. 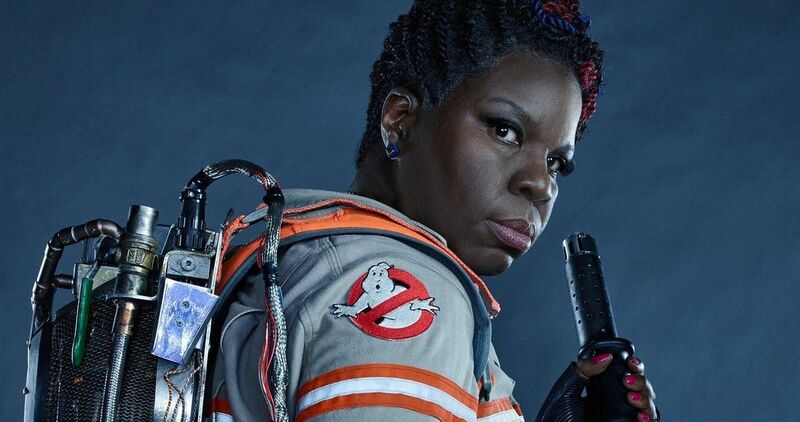 Still, at least one person is very unhappy with this direction the studio is taking with the series, as Leslie Jones has expressed her displeasure to the news on Twitter. Tagging co-star Melissa McCarthy and the upcoming sequel’s director Jason Reitman, Jones says the situation has left her feeling betrayed. Along with McCarthy, Kristen Wiig, and Kate McKinnon, Jones starred in the 2016 remake as one of the titular Ghostbusters. The movie generated controversy prior to its release when the official trailer set the record on YouTube for the most dislikes. This may have harmed ticket sales for the movie when it premiered, also putting the future of the franchise into question. While the reboot was profitable, it didn’t quite reach the levels of success Sony had been hoping for. Now, it’s clear they’ve made the choice to shelve plans for a sequel to the 2016 movie in favor of Ghostbusters 3, which obviously wasn’t what Jones was hoping for. It’s not yet clear what the plot of the new Ghostbusters sequel will entail. What we know for sure is that it will be set in the same continuity as the original movies. It’s rumored to focus on a group of four teenage recruits, comprised of two boys and two girls. Original stars Dan Aykroyd and Ernie Hudson both seem like a lock to reprise their roles as Ray and Winston, but as always, there’s uncertainty around whether Bill Murray will be involved. Considering he had a cameo appearance in the remake, however, there’s a good chance they’ll find a way to incorporate him into Ghostbusters 3. In addition to the reboot’s success falling short of studio expectations, the decision to continue the original movies is also capitalizing on a new Hollywood trend. New sequels to classic movies are becoming increasingly popular. A great example of this would be last year’s sequel to John Carpenter’s 1978 slasher movie Halloween, which smashed all kinds of box office records upon its release. Perhaps studios are getting the impression today’s audiences would prefer modern sequels over new reboots, and Ghostbusters will be the next classic franchise to be revisited. Summer 2020 will see the official premiere of Ghostbusters 3. Original director Ivan Reitman will be producing, with son Jason helming the sequel. Jones may not be excited, but people across the globe will be highly anticipating this movie until its release. You can take a look at the unenthused tweet from Jones about the upcoming movie below.